Nothing says summertime like peaches. 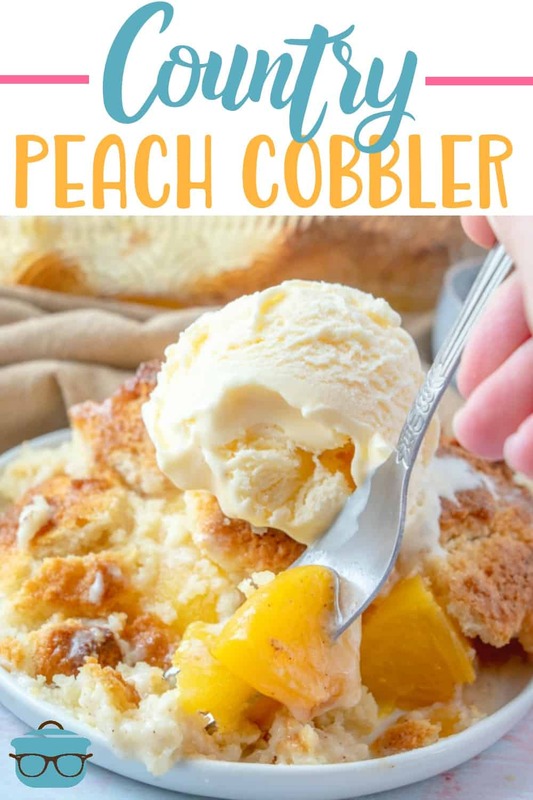 And of course, it wouldn’t be summertime without some delicious peach cobbler. 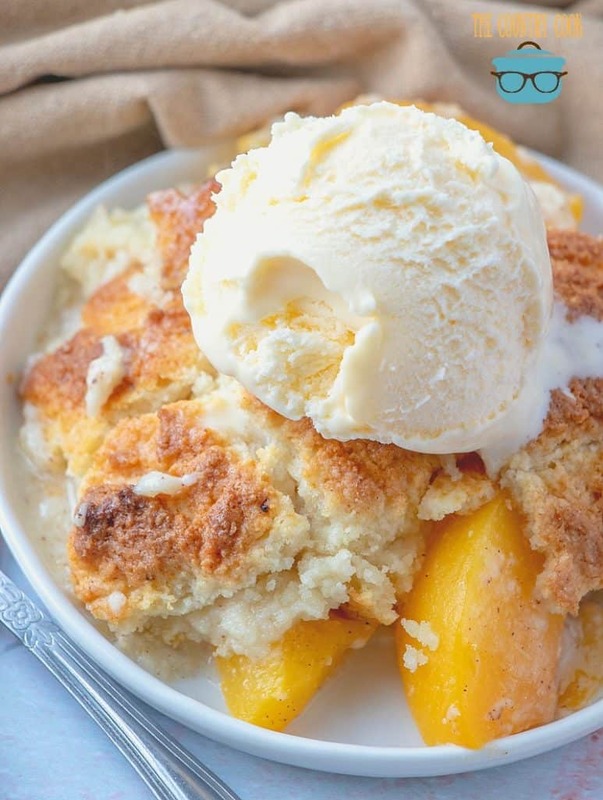 There are as many ways to make peach cobbler as there are stars in the sky. Everyone has their own favorite or family recipe I suppose. Some folks enjoy a sweet cake-like topping. Other folks prefer a thick biscuit topping. 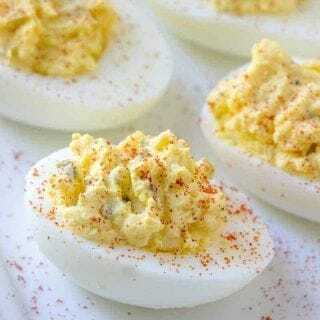 This recipe is a happy marriage between those two I think. The topping is like a thick, sweet cakey-biscuit. 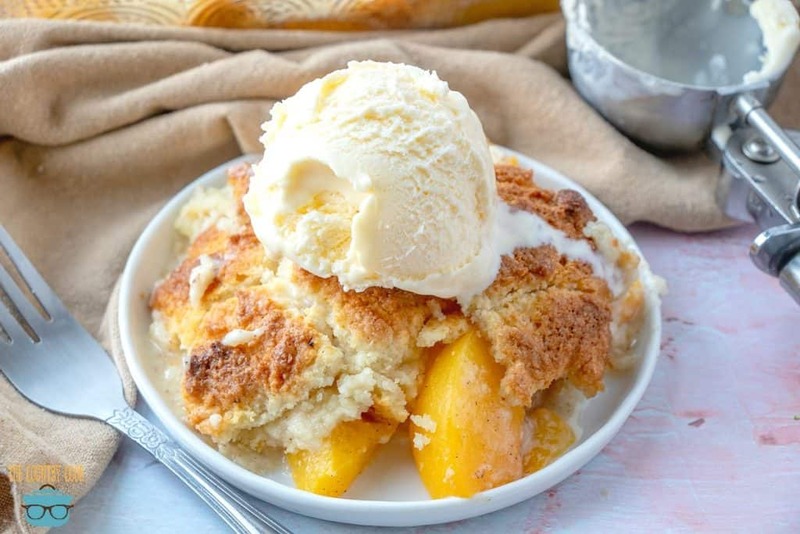 Can I make peach cobbler with fresh peaches? Now, I’m making it with canned peaches, but it is simple to make with fresh peaches as well. It just involves a little bit more work. You’ll need about 6 medium peaches, sliced (skin removed). Then continue with the rest of the recipe steps. Preheat oven to 375F degrees. 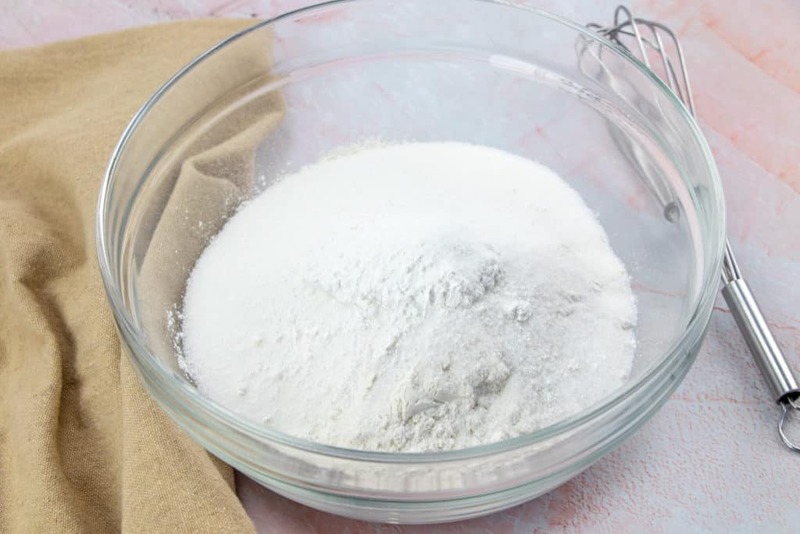 Spray an 8×8 baking dish with nonstick cooking spray. Pour canned peaches into bottom of baking dish (spreading them out evenly). Sprinkle peaches with cinnamon sugar mixture. To make cinnamon sugar, combine 2 tbsp. granulated sugar with 1 tsp. ground cinnamon. 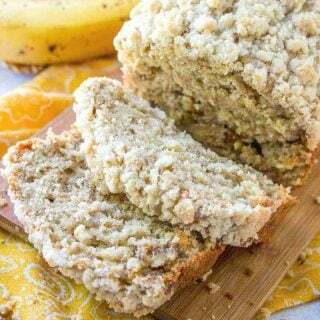 For the topping, in a medium bowl, combine flour, sugar and baking powder. Then add in the cubed butter. And begin to “cut” it into the flour mixture. You can use a pastry cutter. Or better yet, use your fingers. Then pour in heavy cream. 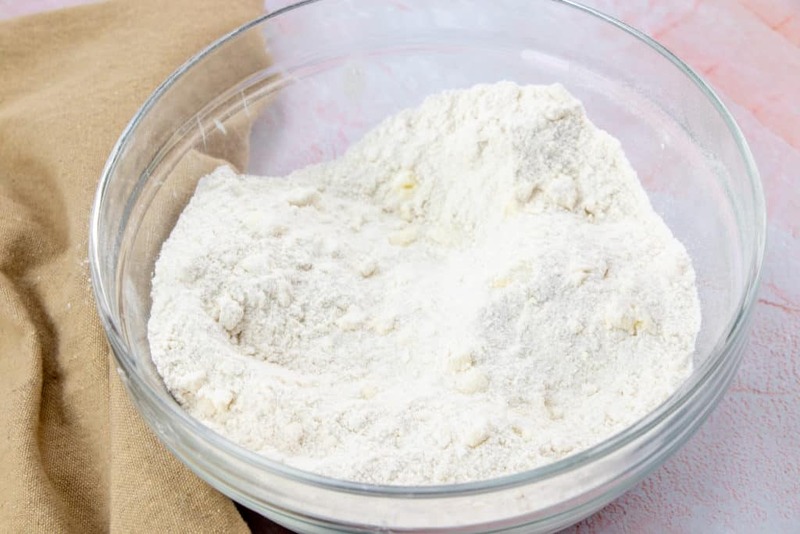 Combine until all the flour mixture has become moist. It will be very thick. Using a spoon, begin plopping the topping all over the peaches. Just put it on in clumps. Doing your best to cover the peaches. Don’t worry about smoothing it out. Bake for about 40 minutes. 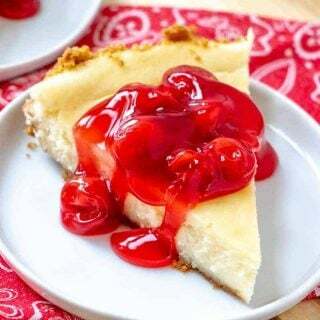 Top should be a light golden brown, and you can stick a toothpick in the top to make sure the topping has completely baked through. 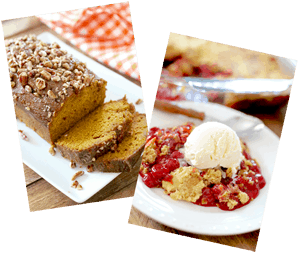 Then eat it while warm and serve with some vanilla ice cream. 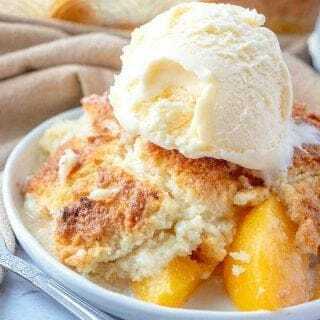 Easy Country Peach Cobbler has the best, soft, cake-like crumble topping! Use canned peaches or fresh peaches. Top with ice cream! 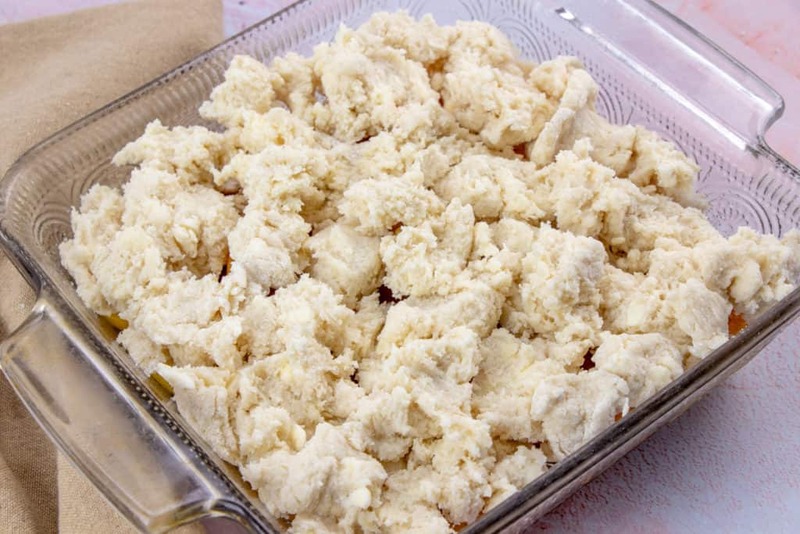 Pour canned peaches with juices into bottom of baking dish (spreading them out evenly). 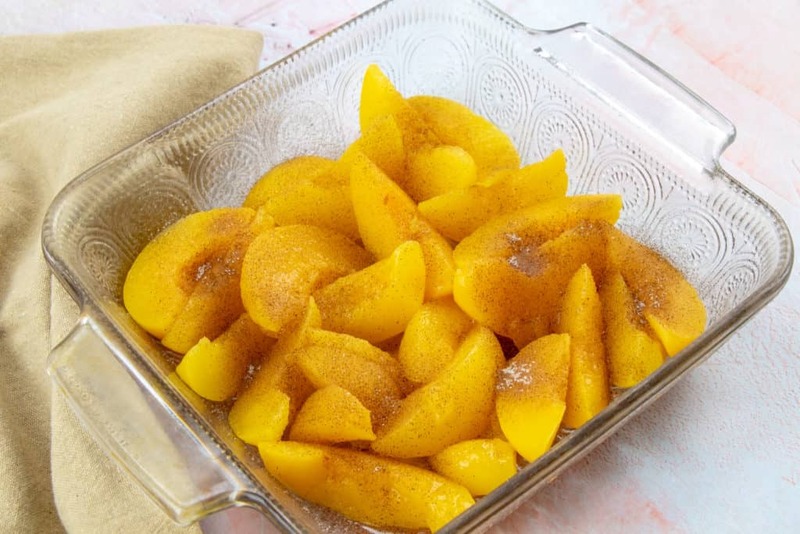 Sprinkle peaches with cinnamon sugar mixture. 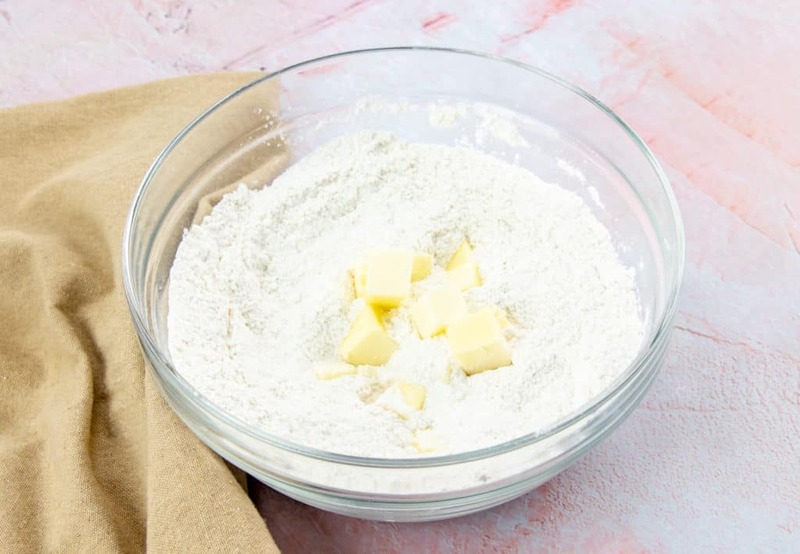 For the topping, in a medium bowl, combine flour, sugar, baking powder and salt. Then add in the cubed butter. 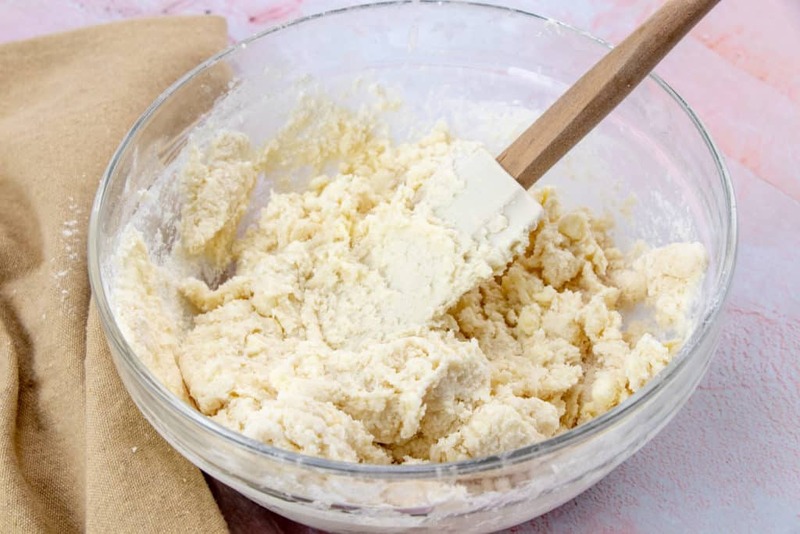 Begin to "cut" it into the flour mixture with a pastry cutter or your fingers. 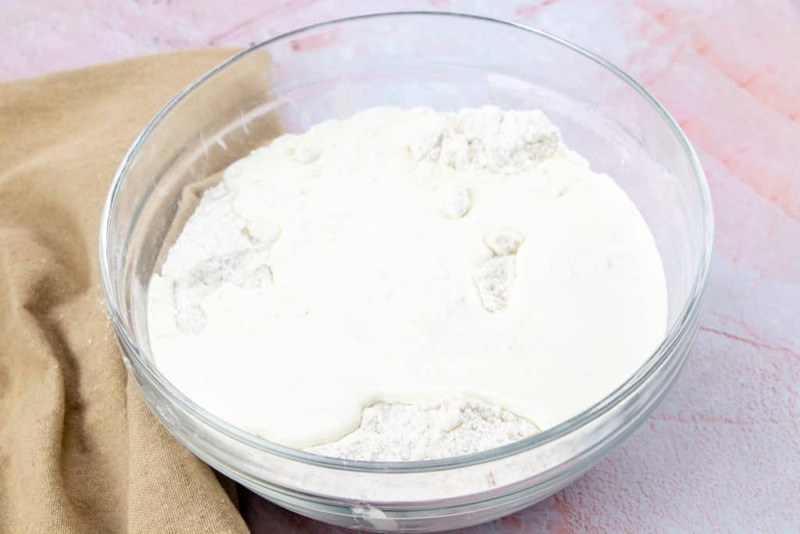 Just work it in with the flour until it becomes small pebbles and has been worked in with the flour/sugar mixture. Using a spoon, begin plopping the topping all over the peaches. Just put it on in clumps. Doing your best to cover the peaches. Don't worry about smoothing it out. Top will be golden brown, and you can stick a toothpick in the top to make sure the topping has completely baked through (toothpick should come out clean.) Serve with ice cream. To make this with fresh peaches, you'll need about 6 peaches, sliced. Then continue with above steps. To make cinnamon sugar, combine 2 tbsp. granulated sugar with 1 tsp. ground cinnamon. 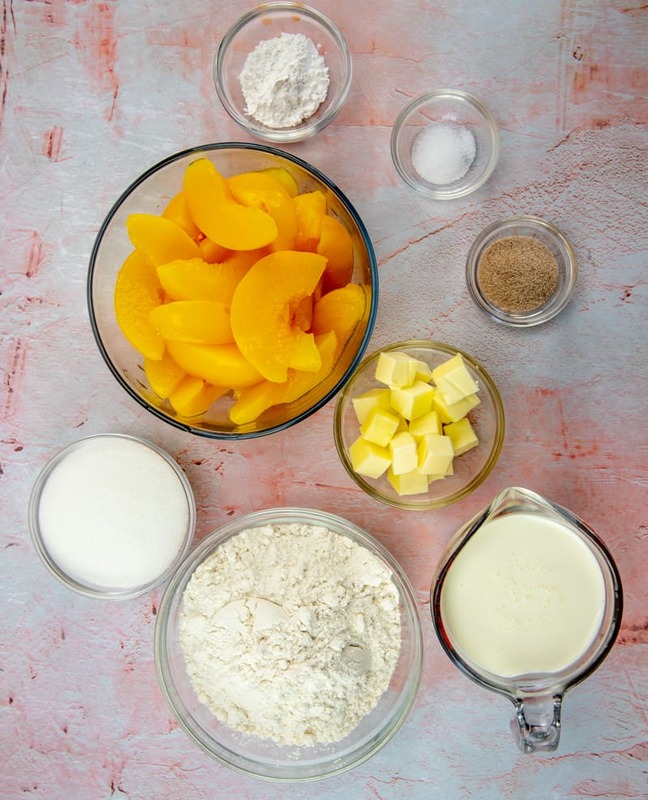 Be sure to check out these other peach recipes! 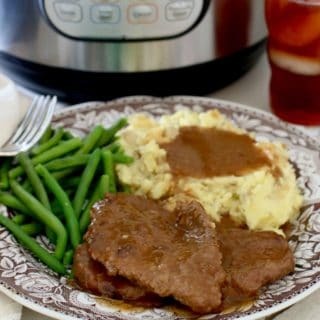 Brandie, I cannot even begin to tell you how much we loved this recipe. Honestly, you are my go-to website for everything. 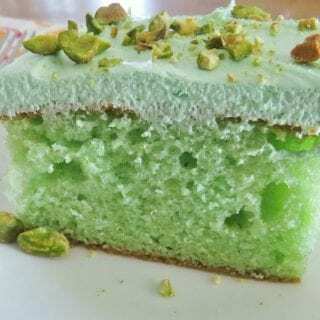 Your recipes are simple, easy to follow and they make me look like I am an experienced an awesome cook/baker. Thank you for making me feel like a super star for my family!! Wow. Just wow. My Mother made the best peach cobbler. I suppose everyone’s mother or grandmother made the best. But my Mom’s was actually the best – ha! God rest her soul. But this was even better than hers!! I followed your recipe exactly! 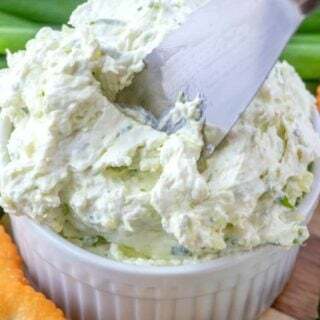 Gonna make this tonight ??? ?